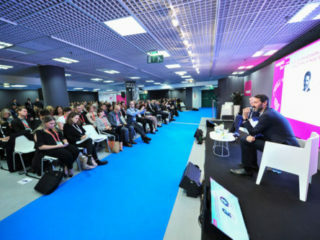 MIPIM, the world’s largest property event, took place last week in Cannes, France. Peel Land & Property (Peel L&P), the developers of Wirral Waters, went along as part of a delegation from the Liverpool City Region. Peel being at MIPIM is vital for our projects. 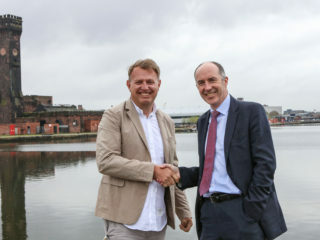 It’s a crucial opportunity to showcase Wirral Waters on a global stage and to put it in the spotlight for international investors and potential partners. MIPIM also provides a forum to deepen and cement relationships with our high-level stakeholders, such as Government bodies and private sector investors. These partnerships are vital to enable growth in Wirral to happen. However, the main reason I get such a buzz from MIPIM is because of the feedback I get every single year about Wirral Waters and how it compares with other waterfront cities. Why is it important that Wirral Waters is represented at MIPIM? 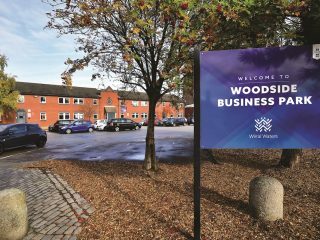 As the UK’s biggest regeneration project, by consented floor space, spanning around 500 acres, it’s vital that we position ourselves on this world stage to attract investment as well as new partnerships with the private and public sector. We are also privileged to share a platform with Liverpool Waters and the wider Liverpool City Region delegation. Our waterside location and maritime heritage also help us to attract interest at MIPIM and allow us to benchmark ourselves against other waterside cities which have so successfully reinvented themselves, such as Hamburg, Dusseldorf and Rotterdam. Wirral is a dockside location which is ripe for regeneration and the events held at MIPIM enable us to share best practice with successful regeneration projects. Wirral itself has been hidden for far too long but, by profiling the regeneration of Wirral Waters at events like MIPIM, we are really changing perceptions. Each year, I can see the progress we have made with transforming its image. Tell us about what you got up to at MIPIM this year? The highlight of MIPIM this year was when we took to the floor, alongside our colleagues from Liverpool Waters, to present our plans for Wirral Waters. I was very honoured to hear Tom Walker, from Homes England, and Joe Anderson, the Mayor of Liverpool, talking with such great passion and enthusiasm about what we’re doing at Wirral Waters. Joe Anderson spoke about Wirral Waters being a once in a lifetime opportunity and that it would make for a stronger Liverpool. I also took part in a very successful Peel L&P event on the Liverpool City Region’s stand and I was delighted to participate in a panel discussion with Brock Carmichael and Homes England about the regeneration of historic waterfront towns in the Northern Powerhouse. This was a fantastic opportunity for sharing best practice and discussing the opportunities and challenges faced by these communities. What will you take away from this year’s event? We made fantastic progress at MIPIM this year. Our event attracted some important delegates and really got people talking about the really significant projects at Wirral Waters and, crucially, the impact they will have on housing delivery and growth in jobs and skills both for Wirral and the wider Liverpool City Region. We continue to learn about other places and developments and this cross-fertilisation of ideas is really useful. There were also lots of fascinating discussions around modular construction and a great deal of interest in our Maritime Knowledge Hub project. What’s next for the Wirral Waters team? Now that I’m back in the office, there will be lots to follow up over the new few weeks, building on the discussions had and the relationships formed at this year’s event. Following that, my focus will be in delivering the next big projects we have in the pipeline and making sure we get planning, partnerships agreements and funding in place for the successful delivery of projects currently in development at Wirral Waters.